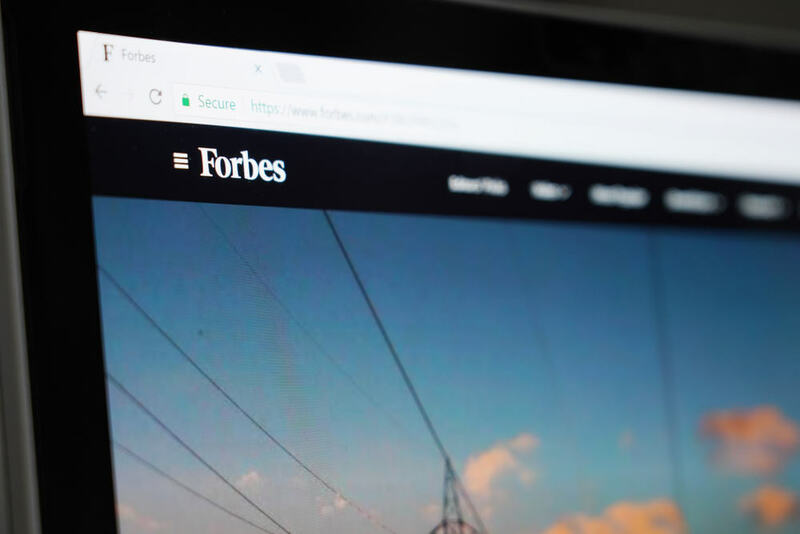 The Fintech 50 2019 List from Forbes featured some promising blockchain companies including Circle, Gemini, and Ripple. The falling prices of cryptocurrencies in 2018 may have created problems for investors, but this hasn’t stopped the fintech industry from being enriched by promising new blockchain companies. Forbes recently released their Fintech 50 2019 picks, of which six were working in the blockchain space. Forbes reports that these blockchain projects could evolve from competing against each other to competing against long-establish mainstream finance players. The New York City-based Axoni, founded by Greg and Jeff Schvey uses blockchain-based smart contracts to revolutionize the $10 trillion market of credit derivatives. Its DLT solution helps counterparties to see payments, vital trade information, and calculations in real-time which will lower risk and improve efficiency. Axoni works with big financial institutions and has received $59 million in funding from JP Morgan, Goldman Sachs, and others. Another company that made the list and is designed to help the existing traditional financial markets is Ripple which provides a global settlements network based on the blockchain. The company aims to offers a cheaper and faster alternative to SWIFT. It allows companies and banks to send cross border payments, with and without the use of the digital currency XRP. Ripple has 200 customers and is valued at $5 billion. The company has secured $94 million in funding from Santander InnoVentures, SBI Investment, and IDG Capital among others. Amsterdam based Bitfury provides full-service blockchain solutions and has software that helps law enforcement and other entities to investigate illicit activity using Bitcoin. The firm has $150 million in funding from Dentsu, Macquarie Capital and Korelya Capital amongst others. In 2018 Bitfury made $500 million in revenue, and the company is valued at $1 billion. Circle is a finance giant that bought the crypto exchange Poloniex and went on to create its own stablecoin called USDC. The coin is pegged 1:1 to the US Dollar and is issued on the Ethereum blockchain. USDC was launched in partnership with Coinbase. The Boston-based company has received $246 million in funding from Goldman Sachs, Bitmain, Breyer Capital and IDG Capital among others and is valued at $3 billion with over 8 million customers. Coinbase is a cryptocurrency exchange based in San Francisco that offers retail and institutional trading as well as crypto custodial services. It has received $525 million in funding from Andreessen Horowitz, YC Continuity, Tiger Global Management, and others and is currently valued at over $8 billion. It already hosts 25 million customer wallets. The last entry is Gemini, the New York-based crypto exchange started by the Winklevoss twins. Like Circle, Gemini has also launched a USD pegged stablecoin called Gemini Dollar (GUSD). It is a qualified fiduciary and custodian under New York law. The company is managed wholly by the Winklevoss brothers and funded solely by Winklevoss Capital Management.